The Vascular Research Laboratory (VRL) is a basic and translational research facility dedicated to the study of peripheral vascular disease and the identification of critical rate-limiting steps where targeted interventions could prevent or hinder development of vascular pathologies. Our mission is to take a collaborative approach to translational research of peripheral vascular pathology with scientists and physicians working closely together on clinically significant research endeavors. This provides a distinct advantage in developing progressive approaches to solving clinically relevant problems. The laboratory’s projects are focused on 1) research into the molecular and cellular mechanisms of vascular restenosis, intimal hyperplasia development, and vessel graft failure and 2) the development of therapeutic methods of intervention targeting these mechanisms. Additionally, significant emphasis is placed on defining the role of hormone replacement therapy in the exacerbation of these pathologies in post-menopausal women and defining the role of testosterone deficiency in vascular pathogenesis of androgen deficient men. A primary aim is the development of pre- or intra-operative interventions that improve long-term outcomes of vascular reconstructive surgery. The Vascular Research Laboratory also supports clinical research projects within the Department of Surgery and plays a primary role in research education for surgical residents, vascular fellows, and undergraduate and graduate students. The Vascular Research Laboratory is under the direction of Oscar H. Grandas, MD, Medical Director and Associate Professor, and the experimental oversight of research activities performed in the laboratory is managed by Deidra J.H. Mountain, PhD, Scientific Director and Associate Professor. Stacy S. Kirkpatrick, Laboratory Supervisor is responsible for personnel oversight and maintenance of supplies and equipment in laboratory. The lab can support research and clinical projects requiring technical expertise in small animal survival surgery, lab animal pathology, immunohistochemistry, histological interpretation, fluorescent microscopy, tissue & cell cryo-preservation, cell isolation, cell and tissue culture, retroviral gene insertion and gene silencing, cell fractionation and protein isolation, electrophoresis, Western Blot analysis, ELISA, FACS, HPLC, and RT- and q-PCR. The Vascular Research Laboratory facility has 2000 sq. 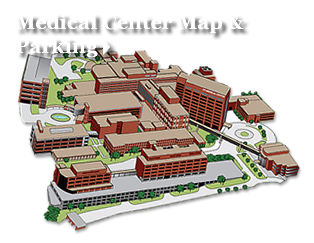 ft. of laboratory facilities located within the Research Wing of the University of Tennessee Medical Center and houses all the necessary basic equipment needed for cellular and molecular biology experiments. Additionally, the research team has unlimited access to the Animal Science Center, an AALAC approved and accredited facility staffed by University of Tennessee veterinarians and animal caretakers, located on the basement level of the Research Wing. The animal facility has two operating rooms with anesthesia and monitoring equipment. A Zeiss OPMI-MD surgical microscope is property of the Vascular Research Laboratory and is housed in one of the operating rooms. General Surgery Residents with an interest in academic medicine or the possibility of a career as a physician scientist may benefit from additional training in a multifaceted basic and translational research program. Those residents interested in devoting one year of their residency program to research training may be accepted to the Vascular Research Team to gain experience in a wide array of laboratory techniques and make original contributions to the field of vascular biology research. Vascular Surgery Fellows in the first year of their fellowship training are assigned to the Vascular Research Team for a six month rotation. During this time the fellow achieves technical proficiency in a number of basic laboratory techniques, gains significant experience in microsurgical techniques and the use of an operative microscope, and is expected to make an original contribution to the field of basic vascular biology research in the form of peer-reviewed publications and presentations at national meetings. Graduate students at the masters or doctoral level in the Comparative and Experimental Medicine Program at the University of Tennessee Knoxville, can also benefit from research education through the Vascular Research Laboratory. Both Drs. Mountain and Grandas have Approval to Direct Doctoral Research through the graduate program and are willing to accept qualified graduate students for mentorship through their laboratory. Medical Students awarded the Collmann Medical Student Educational Endowment Foundation Fellowship are also eligible for training through the Vascular Research Laboratory. This summer program is offered through the Deans Office at UTGSM and is designed for medical students wishing to gain research experience following their first year in an accredited medical training program. These students are assigned a portion of an ongoing research project in the Vascular Research Laboratory and are instructed over the summer term in experimental design, laboratory techniques, and data collection and analysis. Additional opportunities for research education are available to undergraduate and post-baccalaureate students as well as. Contact the Vascular Research Laboratory for details.